Have You Considered Taking The CBEST? The CBEST is a standardized test administered throughout the state of California for individuals who want to teach at public schools and gain a credential. It is designed to evaluate basic proficiency in reading, mathematics and writing. The test is divided into three sections: reading, writing, and math. The reading and math sections contain 50 multiple-choice questions and the writing section consists of two essay questions. The test must be completed in four hours, and test-takers may use that time to work on any or all of the three sections. Participants waiting to take the CBEST at Patriot High School. There is no limit to the number of times someone may take the test in order to pass, and test-takers do not have to pass all three sections in one sitting. However, There is a registration fee of $41 for paper-based testing or $102 for computer-based testing that must be paid each time the test is taken. The State of California website offers all of the details regarding the test and registration. The CBEST is offered year-round, Monday through Saturday (excluding some holidays). To register, you must set up an appointment which are accepted on a first-come, first-served basis, and seating is limited. Early registration is imperative to secure a spot and prepare for the test. Taking the CBEST exam is a great opportunity to earn money while in college. If you have completed 90 college units or hold a bachelor’s degree, you are eligible to take the exam and become an on-call substitute teacher. Becoming a substitute will give you valuable hands-on experience and an understanding of classroom dynamics, which is especially beneficial for those who intend to become a K-12 teacher. “I would recommend anybody interested in pursuing any type of graduate degree to take the CBEST as an undergraduate because once you graduate with your Bachelor’s degree, you are qualified to work as a substitute teacher. 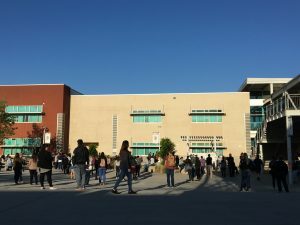 This not only allows for great classroom experience, but also a great way to earn money while balancing school,” CSUSB graduate student, Marisol Rivera said. Participants receiving instructions before the test. Adequate preparation is essential to make your CBEST experience the best it can be. There are several online and print tools that can help you review test content and develop a study plan. Taking advantage of pre-testing and tutoring can help boost your confidence level and ensure you pass the CBEST on your first attempt. Another tool to take advantage of is the Accelerated Subject-matter Acquisition Program (ASAP) which offers affordable, accessible, applicable review for the CBEST, CSET and RICA exams. ASAP has successfully supported individuals from a variety of professional and educational backgrounds. Review sessions are taught by individuals who are experts in their respective fields. 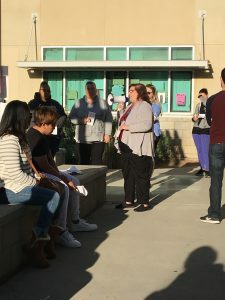 The Accelerated Subject-matter Acquisition Program and the Verification Process for Special Settings is sponsored by the Riverside County Office of Education, in partnership with California State University San Bernardino. There are no shortcuts to passing the CBEST, but if you practice constantly and stay confident, then you will pass the exam. A relaxed mind and body could be the solution to your CBEST exam problems.